Craftsman 1/4, 3/8 and 1/2 in. 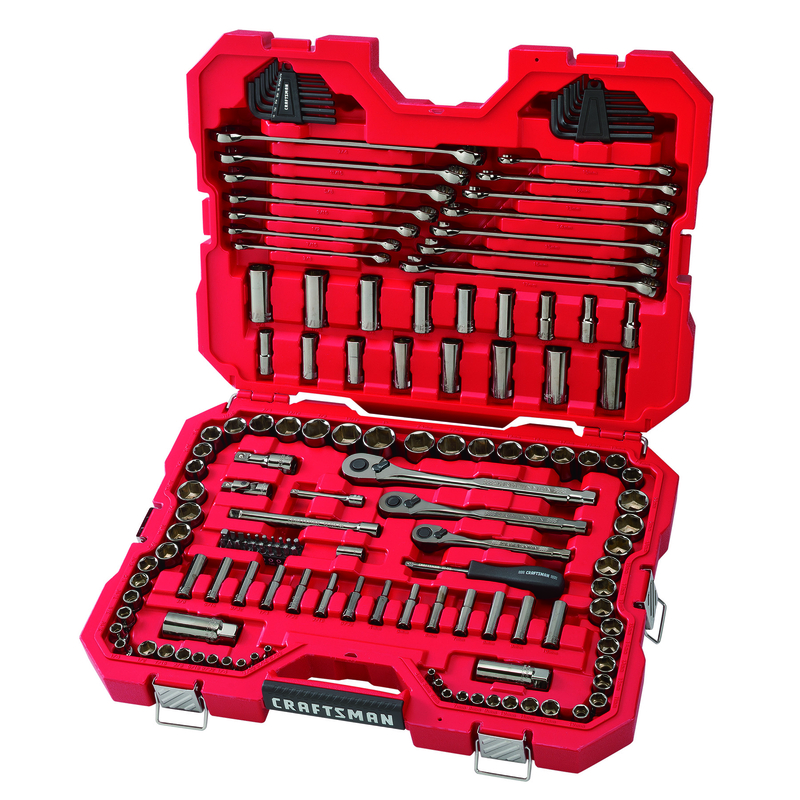 drive Metric and SAE 6 Point Mechanic&#39;s Tool Set 121 pc. The Craftsman 121PC Gunmetal Chrome Mechanic's Tool Set features 120 pieces in gunmetal chrome finish for a unique and durable look. These 6 point sockets include a hardshell case for storage. This product is covered by the Craftsman Full Life Warranty.